Property services group Oliver Hume continues to ride Melbourne's strong property market with its appointment as marketing agent for nearly $1 billion of residential development projects over the last three months. The new projects total more than 4,000 lots and are from some of Melbourne’s most established developers including Villawood Properties, ID LAND, Pask Group and ISPT Super Fund. Four of the projects, by Villawood Properties, have a combined gross value of nearly $500 million. The projects include Marriot Watters at Lyndhurst (225 lots), Aquarevo at Lyndhurst (489 lots), Woods Road at Truganina (500 lots) and Rathdowne at Wollert (1,000 lots). Other appointments include a$107 million, as yet unnamed, project for ID LAND at Wollert (500 lots) and ISPT Super Fund’s $400 million project in Dingley Village (800 lots). Oliver Hume Director Gerrard Ellis said the company was pleased to be working on some of Melbourne’s most exciting new residential projects. 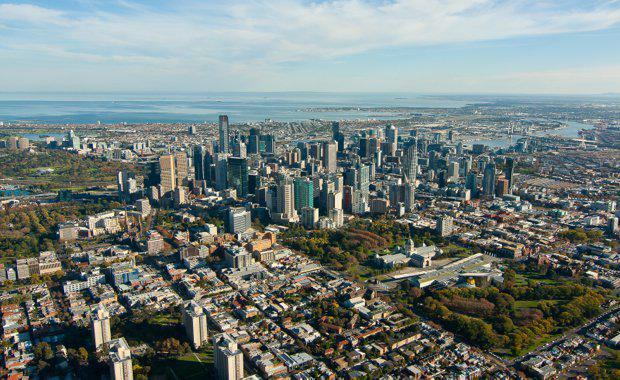 “We believe the Melbourne property market is going from strength to strength and it’s the ideal time for developers to capitalise on the current conditions,” he said. “According to a recent *report, Melbourne house prices increased by 11 per cent over the past 12 months, a significant result. Interest rates are low and demand for properties in high quality, well-positioned communities is on the rise. “The projects we are marketing are located in some of Melbourne’s fastest growing areas, close to transport, shopping, parks and other amenities. Oliver Hume Research Director George Bougias said the success of the new communities would be underpinned by Melbourne’s continued organic population growth and interstate migration. Oliver Hume Director Paul Ciprian said the appointments reflected Oliver Hume’s status as Australia’s largest and most experienced privately owned residential property marketer. “Our knowledge, expertise and experience provide developers with a competitive edge in the marketing and sales of their residential projects,” he said.